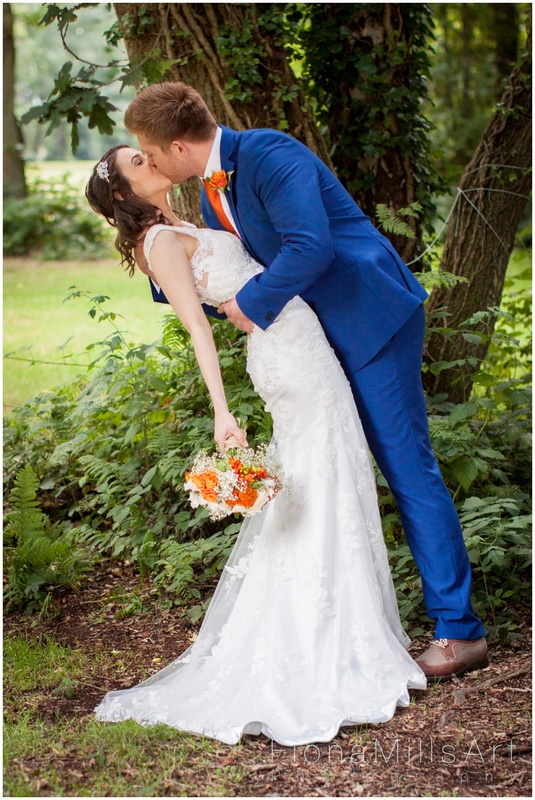 Matt and India’s wedding at St Andrews Chorleywood, felt like it had been a long time in the making as I had been booked by them over a year before, so it was a great pleasure this Spring and Summer to start setting down plans for how we were going to approach their wedding photography. 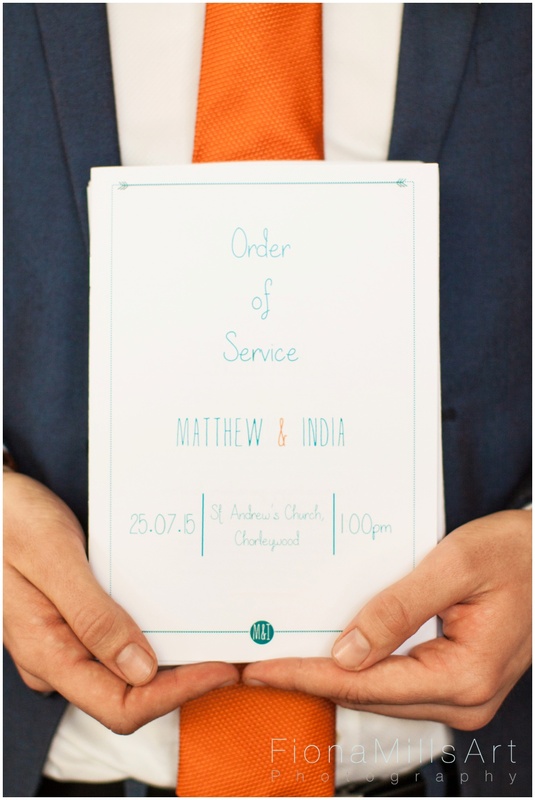 They planned to get married at India’s home church, St Andrews in Chorleywood. 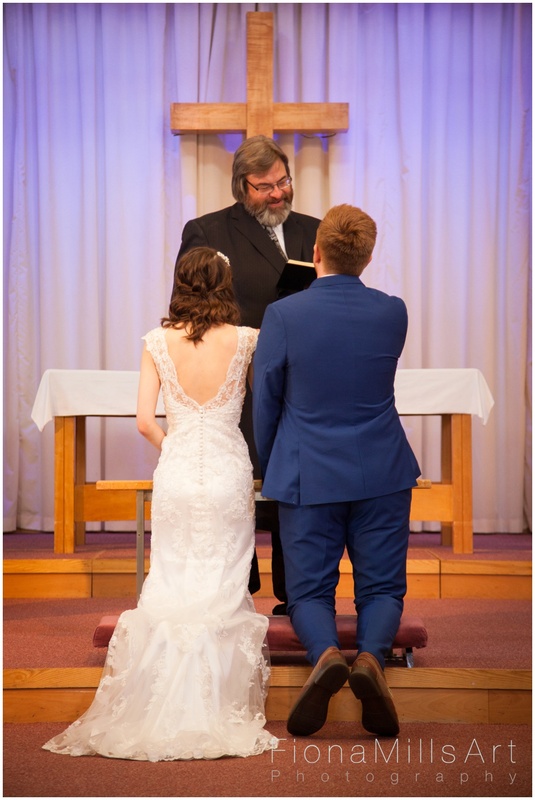 During my first visit to their church to have a scout around I was amazed as I drove off the M25 straight onto a single track road into a stunningly, rural looking village! 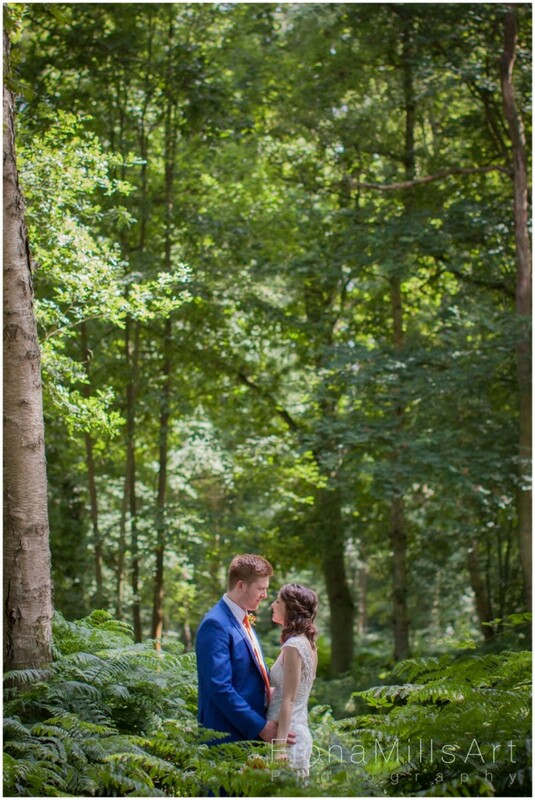 Where had the city and motorway and noise gone??!! 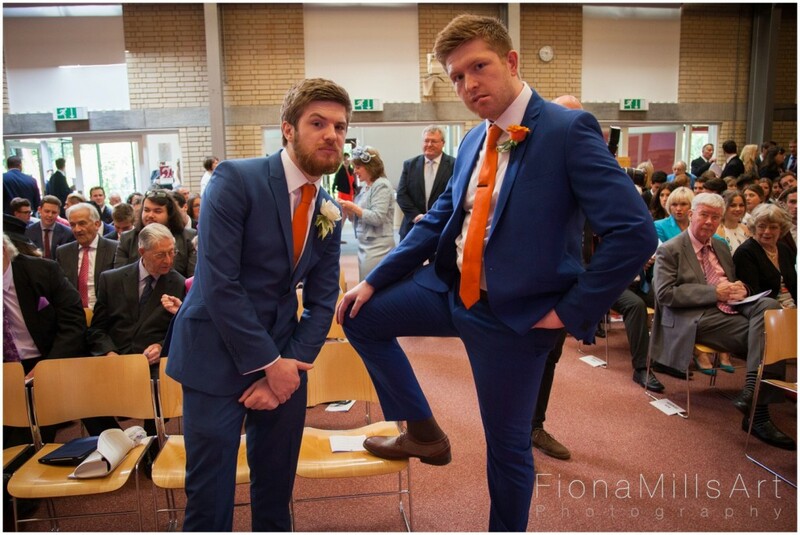 it was like a mass disappearing trick, only there was still access to the tube! 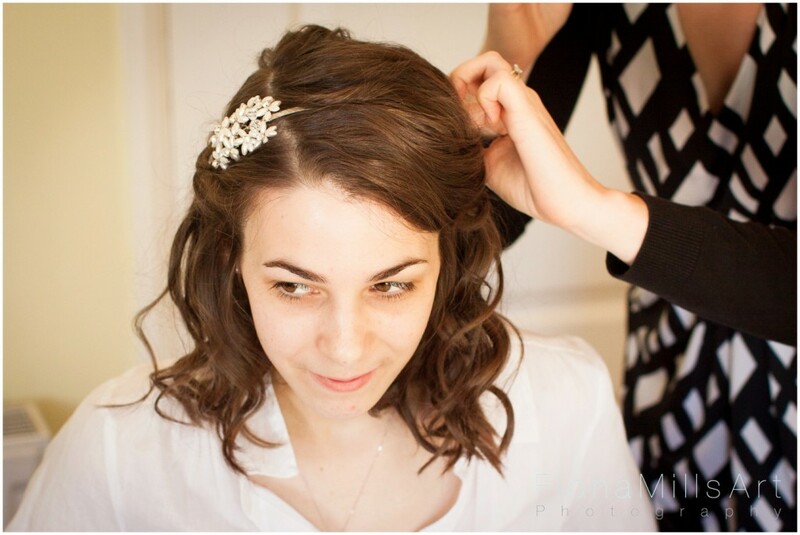 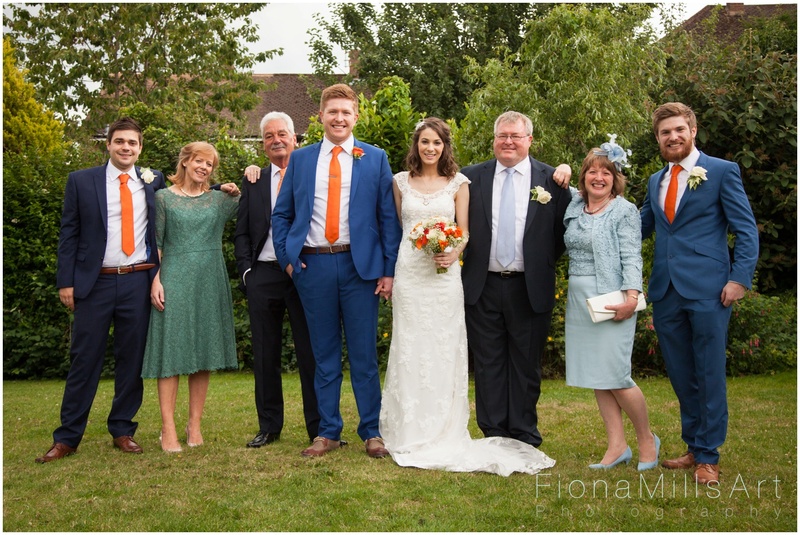 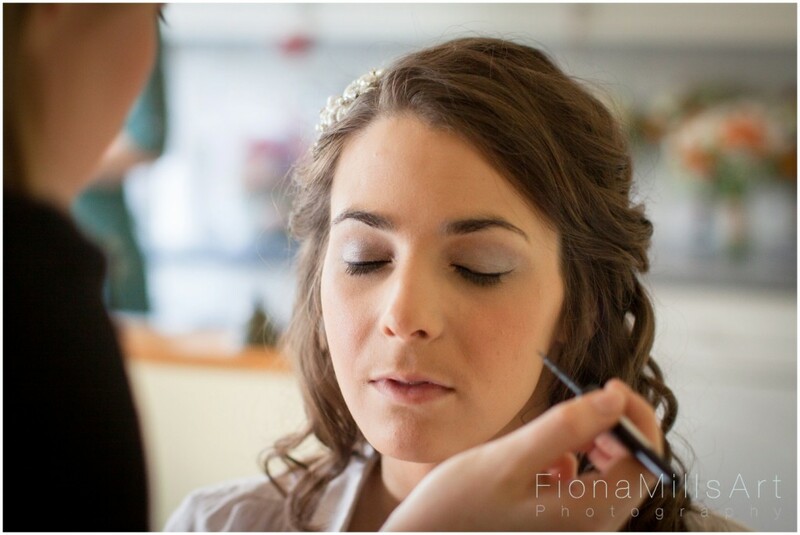 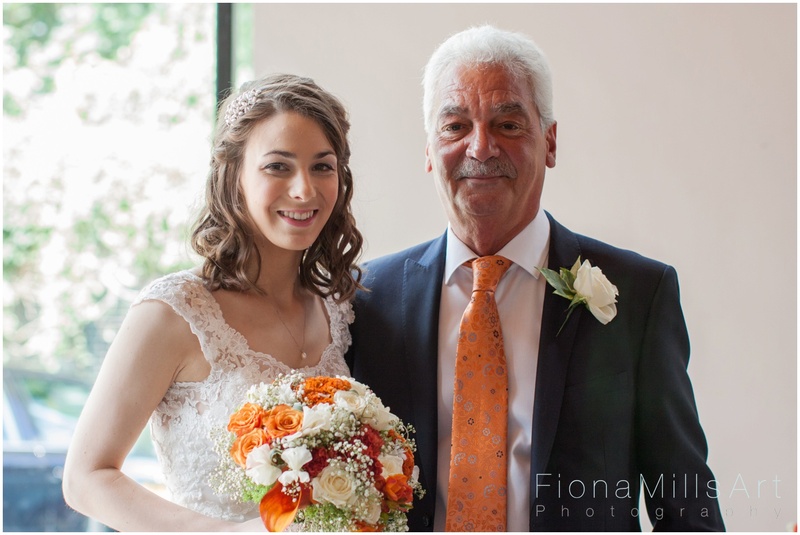 On the wedding day morning, I planned to spend a short time with India at her parents home in Croxley Green as she prepared to get ready before hotfooting it back to St Andrews Chorleywood, with my assistant Lee, to capture some moments with Matt and the throng of guests arriving. 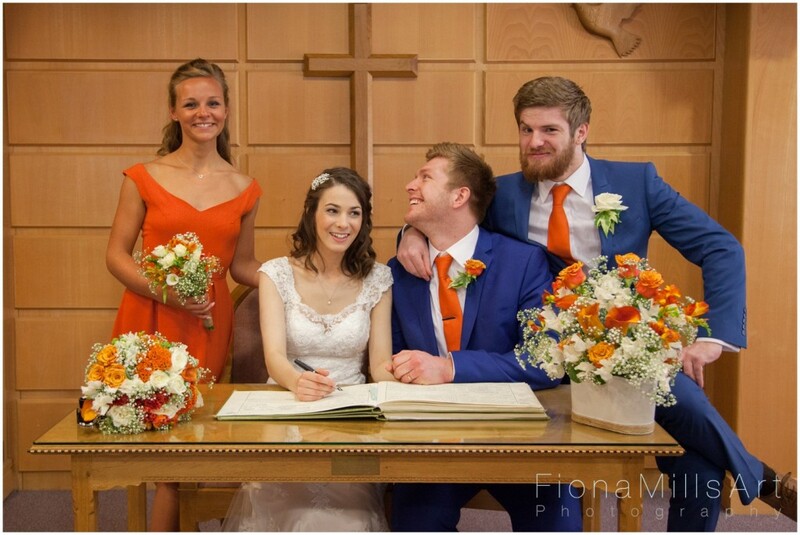 It was the most colourful day, with masses of glamorous looking people arriving for the ceremony. 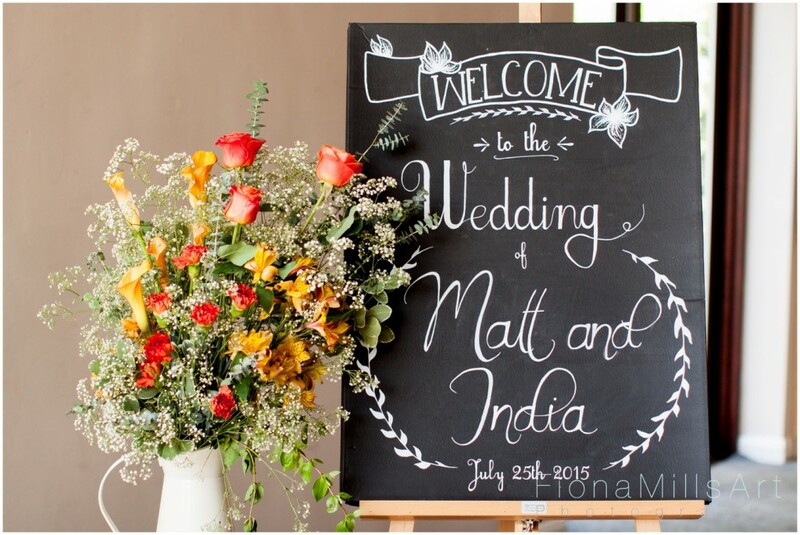 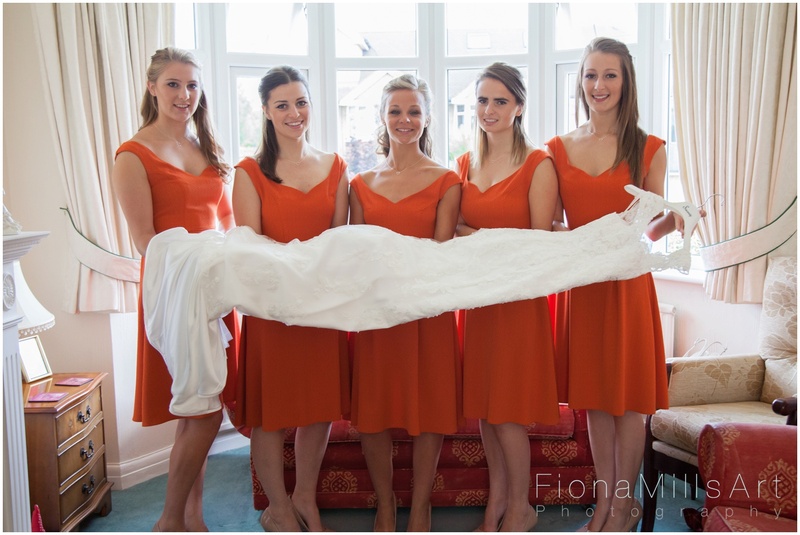 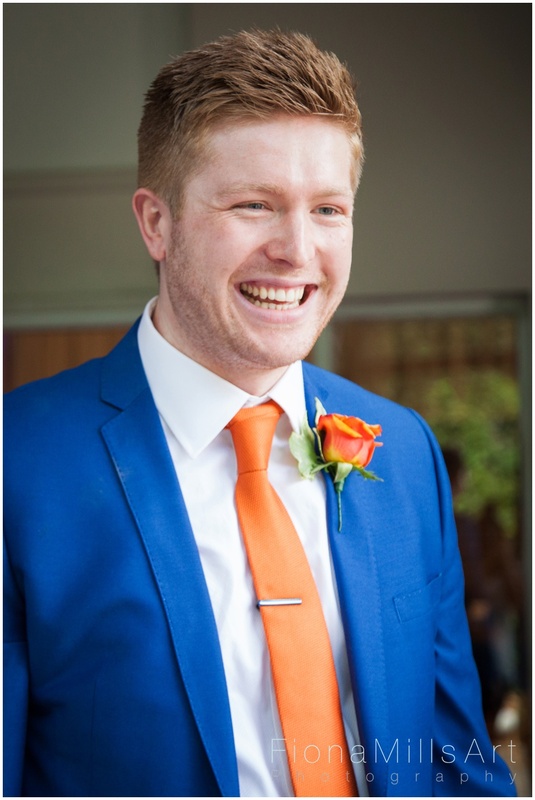 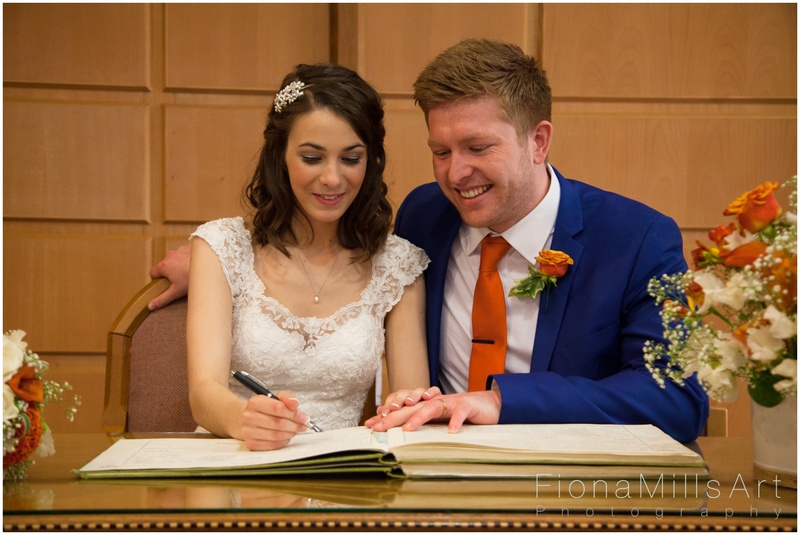 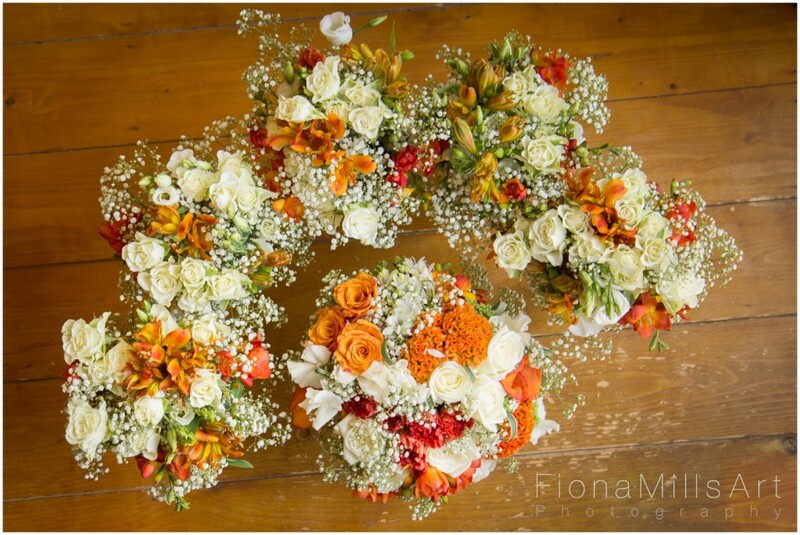 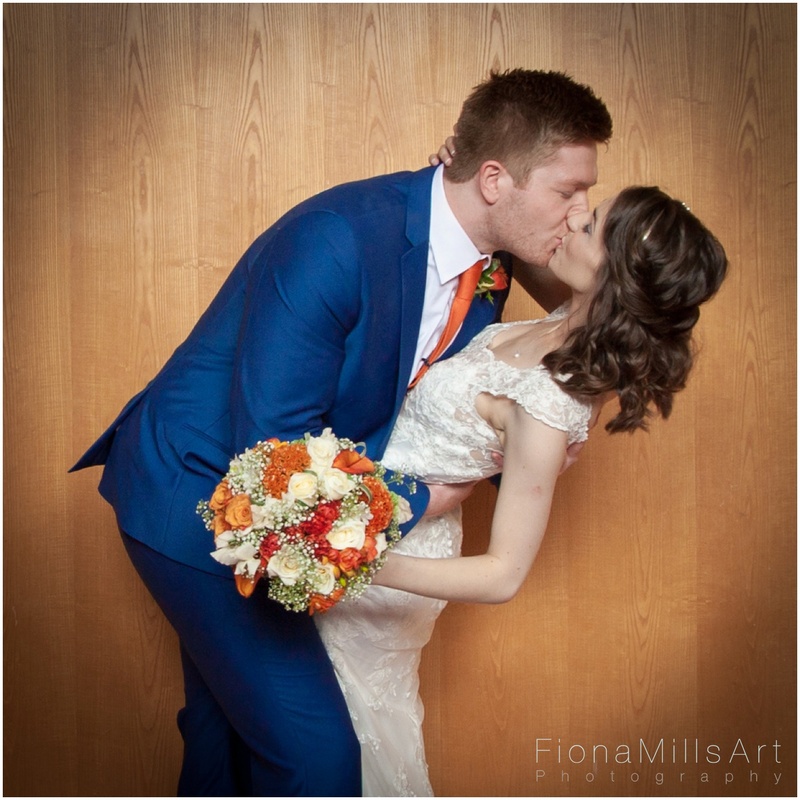 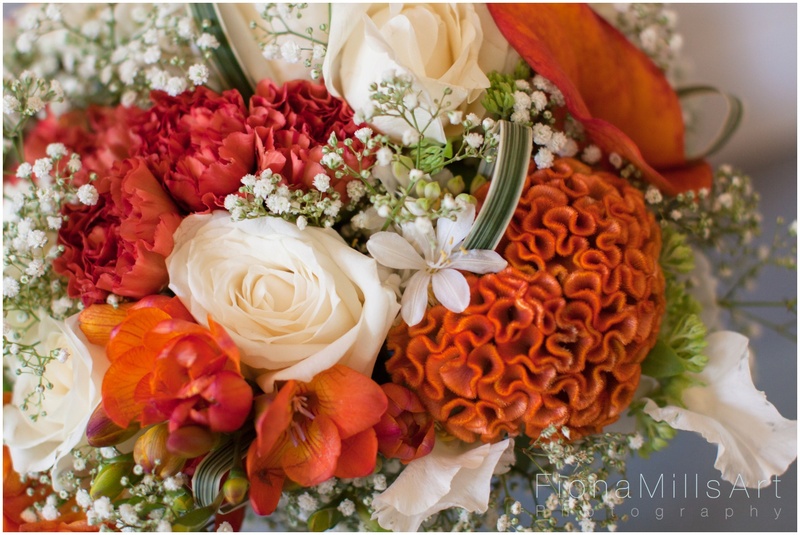 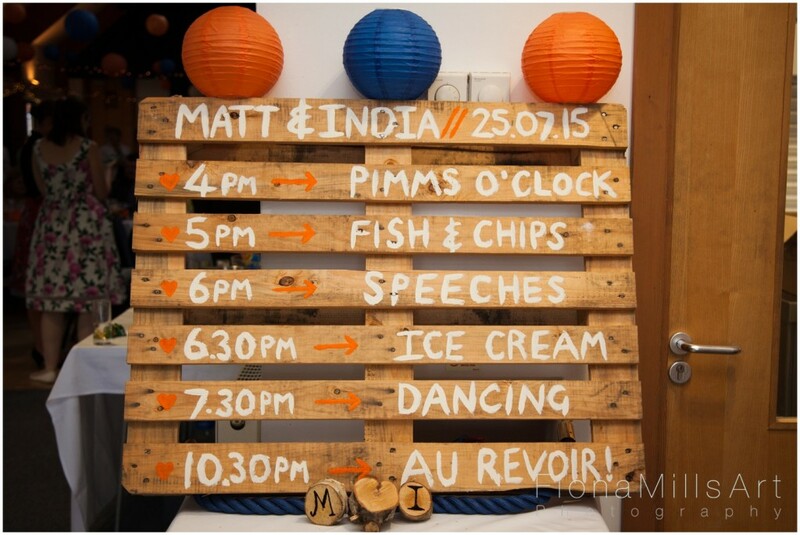 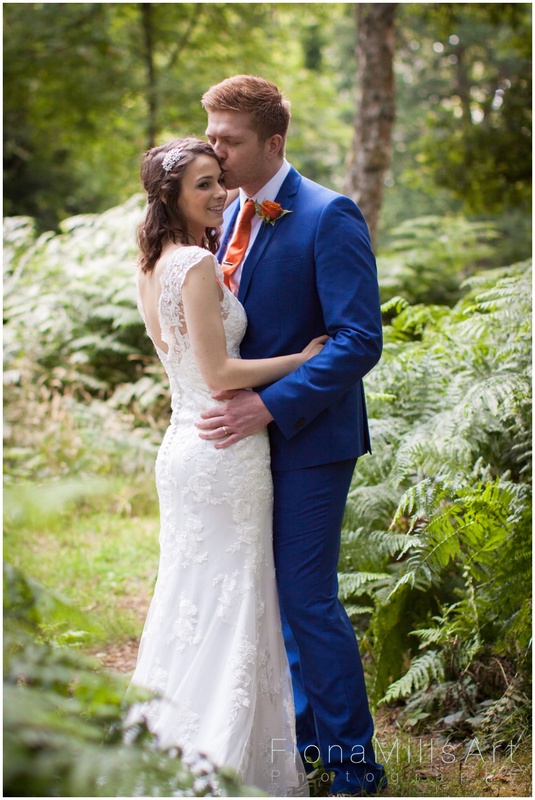 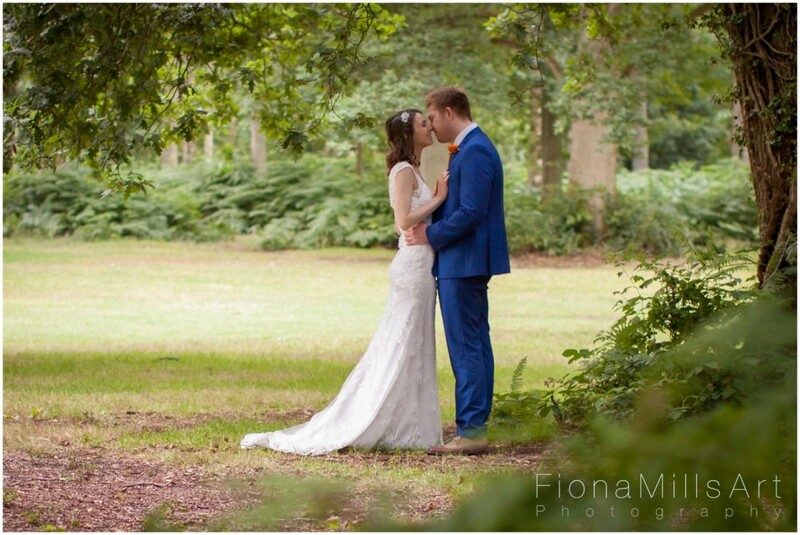 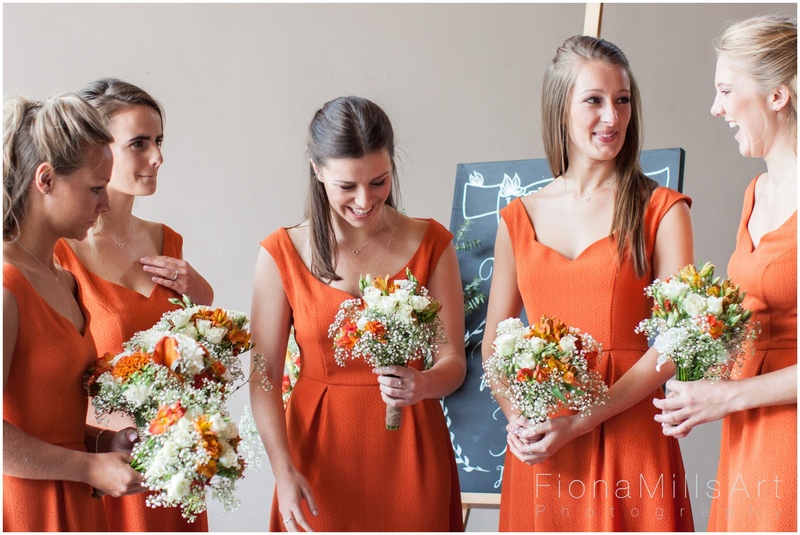 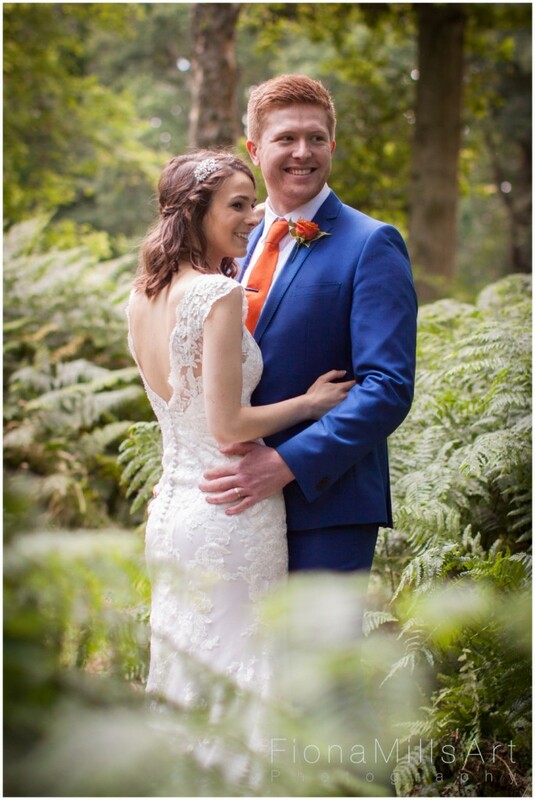 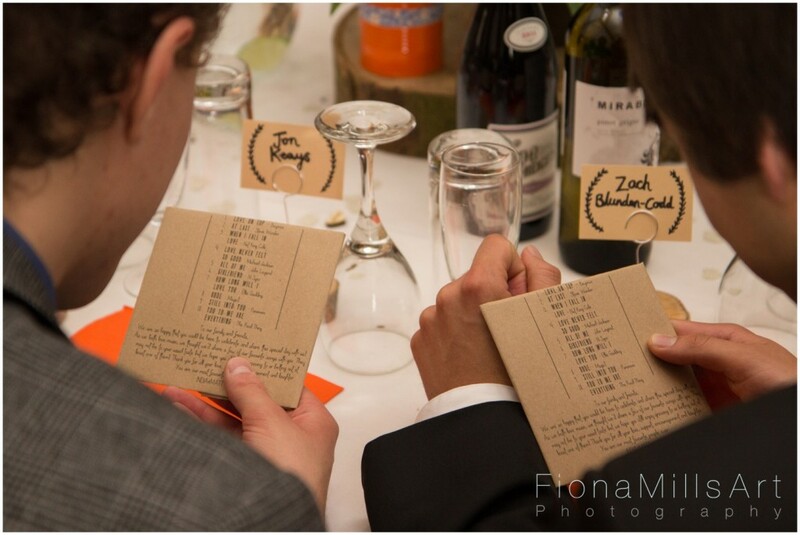 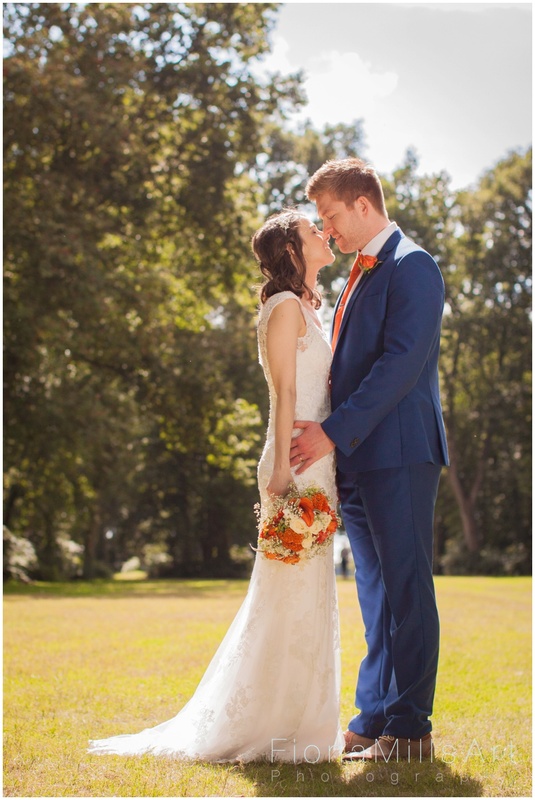 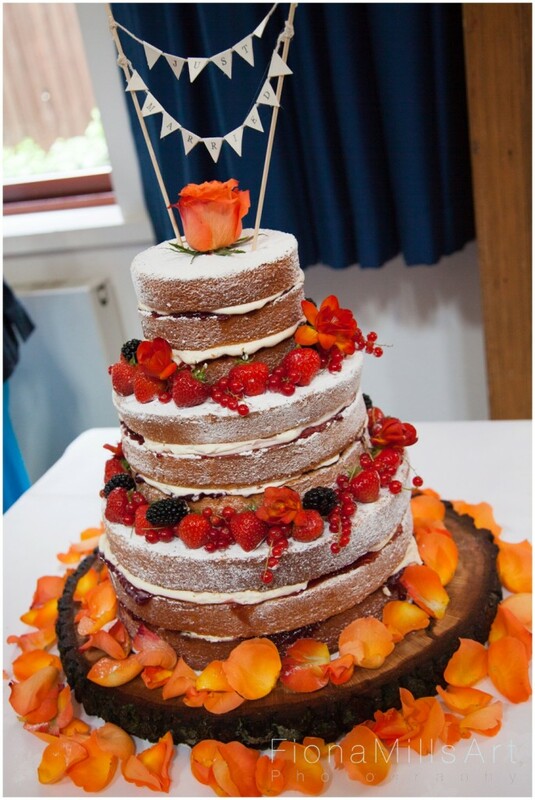 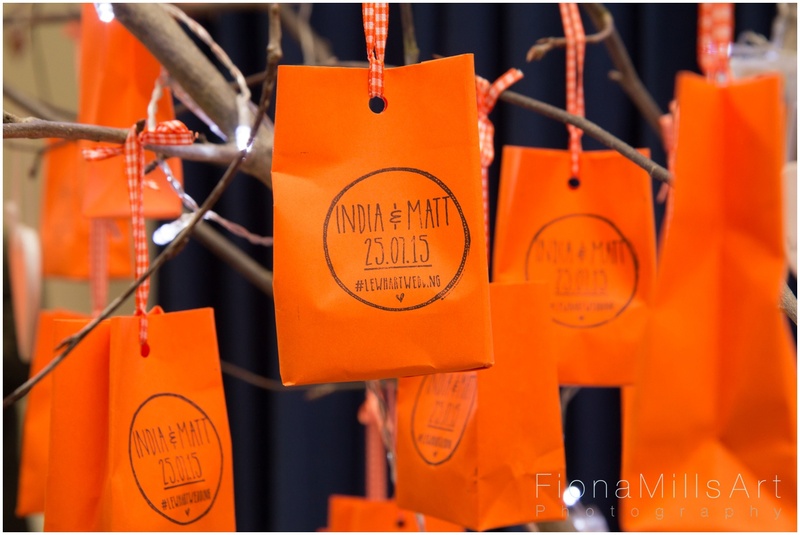 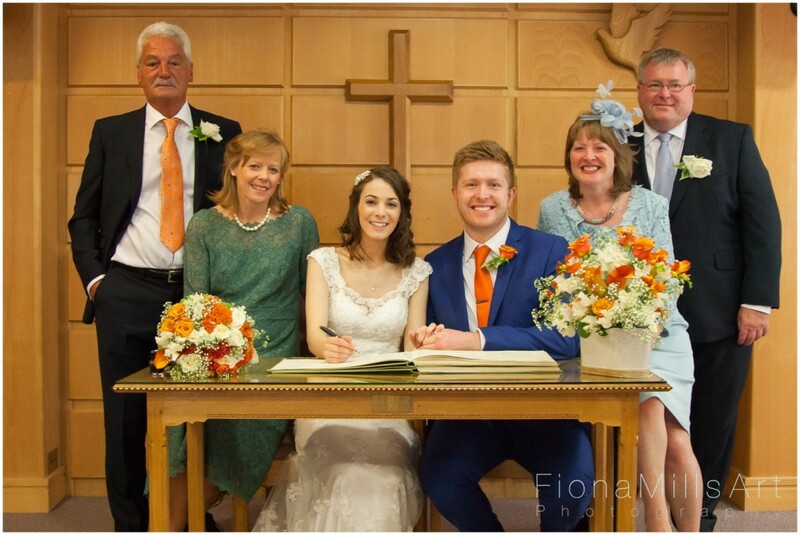 Matt and India had chosen a lovely colour palate of burnt orange, royal blue and white. 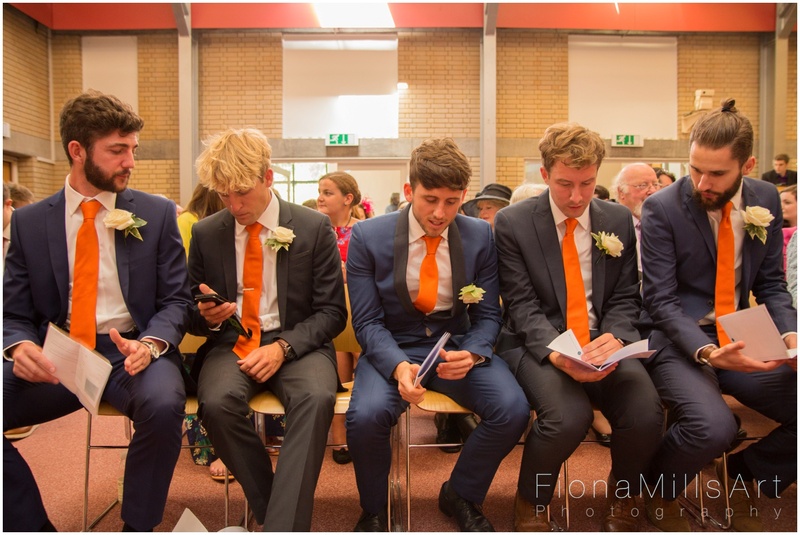 The groomsmen and bridesmaids looked fabulously coordinated, and the Vicar declared himself fashioned on Meat Loaf with his long, dark, dress coat! 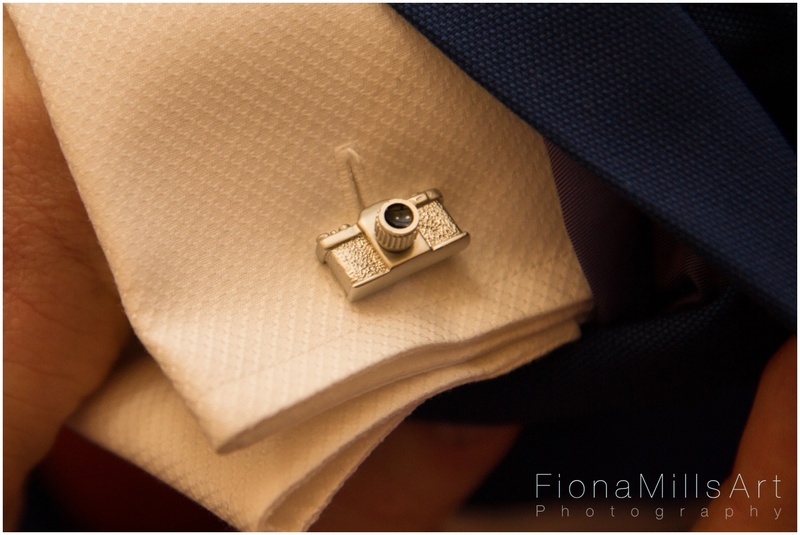 I especially like Matt’s camera themed cufflinks! 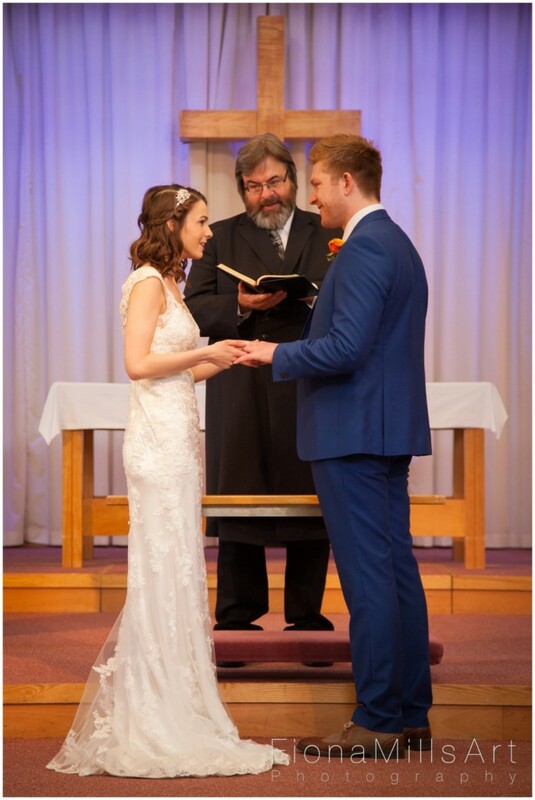 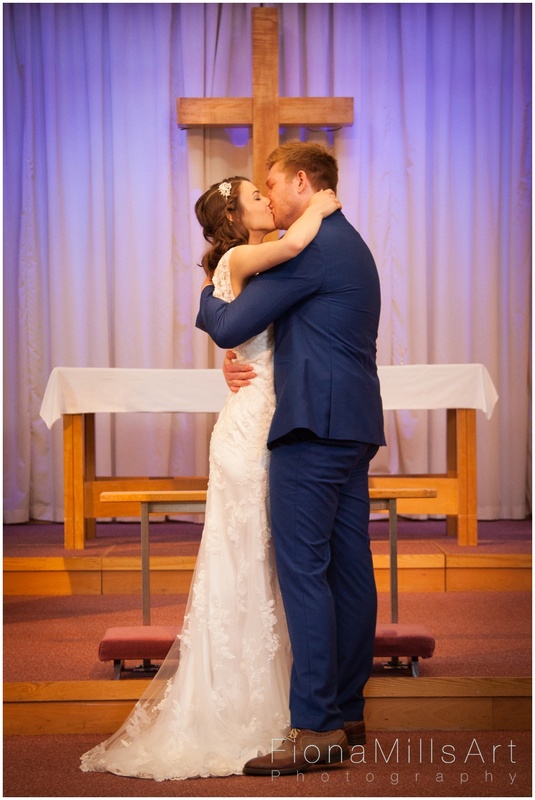 As a wedding photographer in Chichester, the ceremony was lovely, capturing the foundation of faith that Matt and India share, along with worship and prayers led by those close to them….but the kiss…. 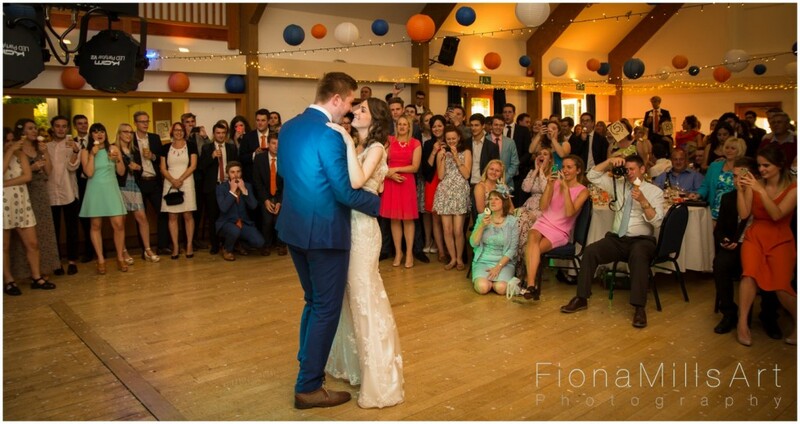 The kiss was the LONGEST kiss I have ever witnessed at a wedding!! 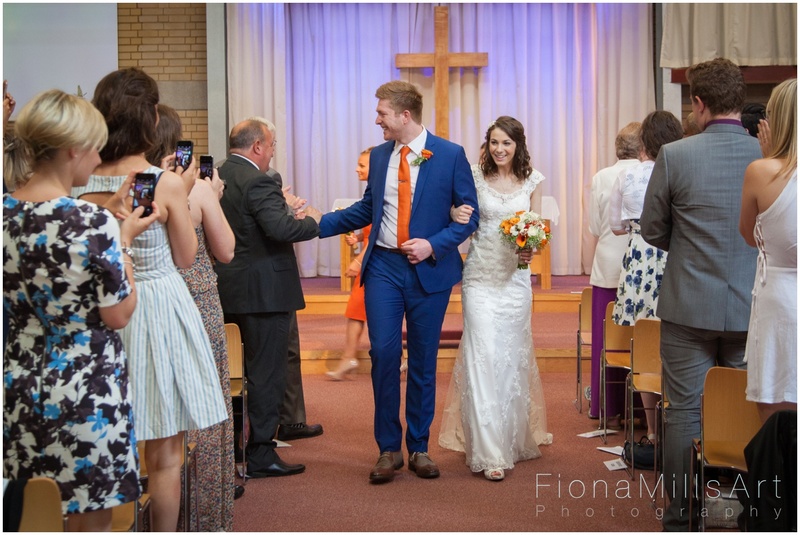 After the signing of the register and Mr & Mrs Lewis’ exit, they came back in again so we could capture a quick panorama of the congregation before they exited to rapturous applause once again. After the ceremony, while the guests snacked on cake and tea, we popped out to the church gardens to capture the group photos the new Mr & Mrs Lewis had chosen. 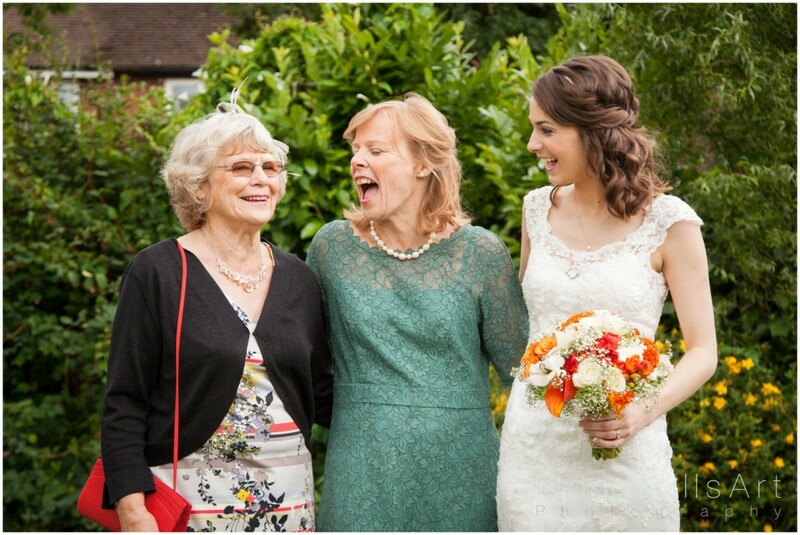 The joyful moment with three generations of Lockhart ladies giggling together really touched me. 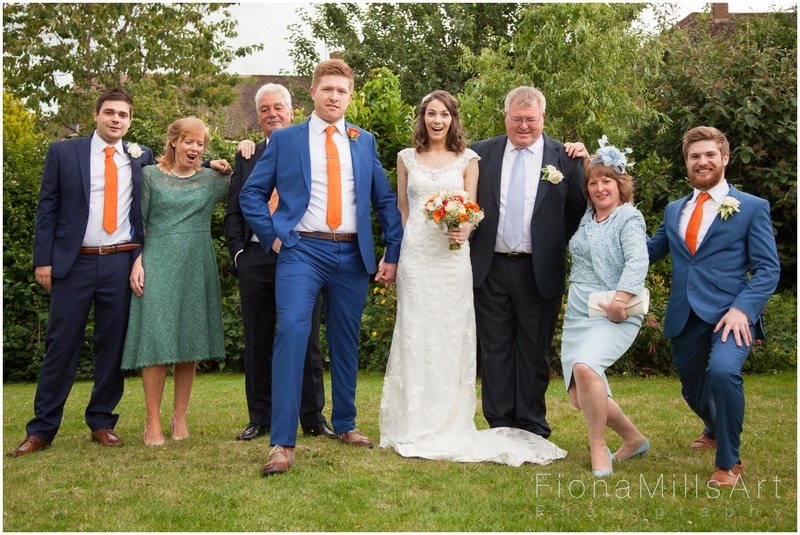 I just loved how Matt’s family instantly obeyed when I called out a mood-lightening “lunge challenge”!! 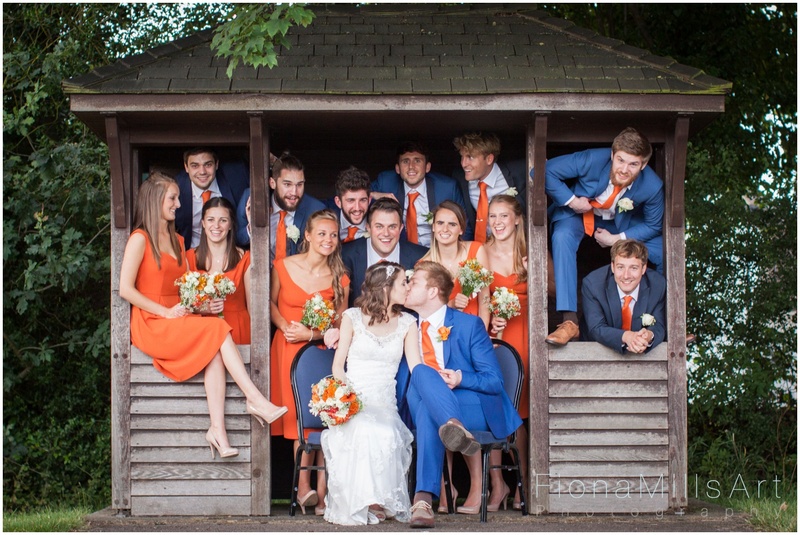 We also managed to get the bridal party to engage in some lively action for some GIF ready pics. 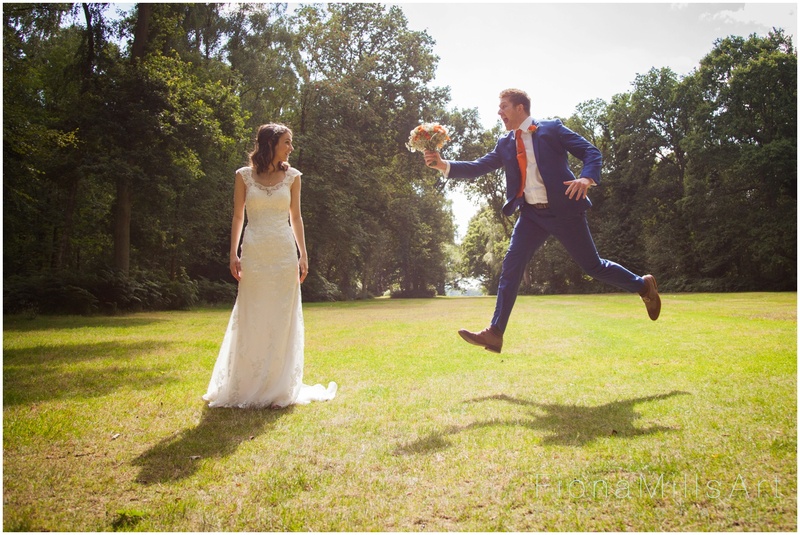 Matt and India are a really fun couple, and with Matt’s interests lying in video and photography I thought I would treat them to some moving images of their own….and seeing as I am not wholly experienced in the art of wedding videos, comedy GIFs were the next best thing!! 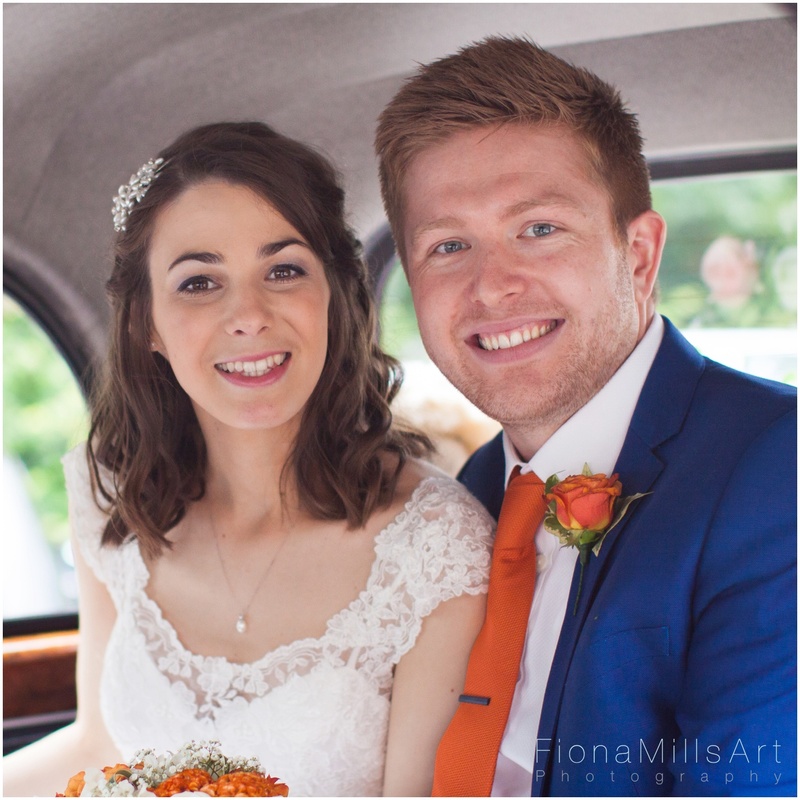 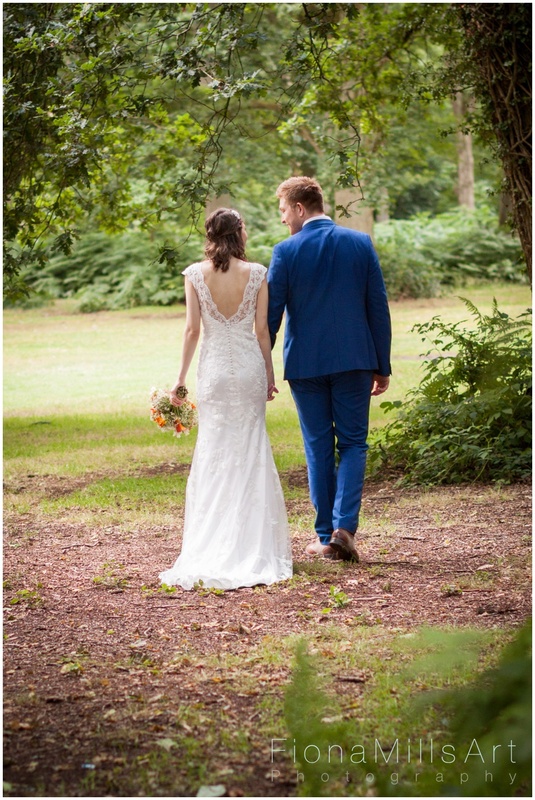 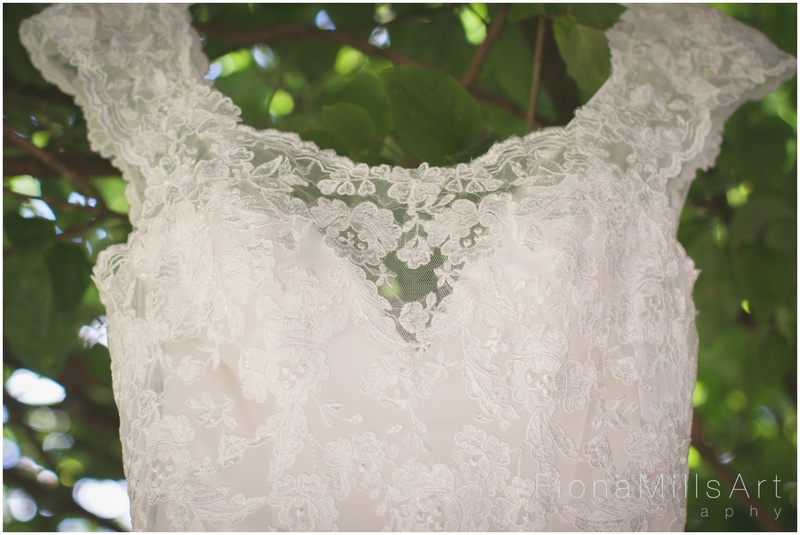 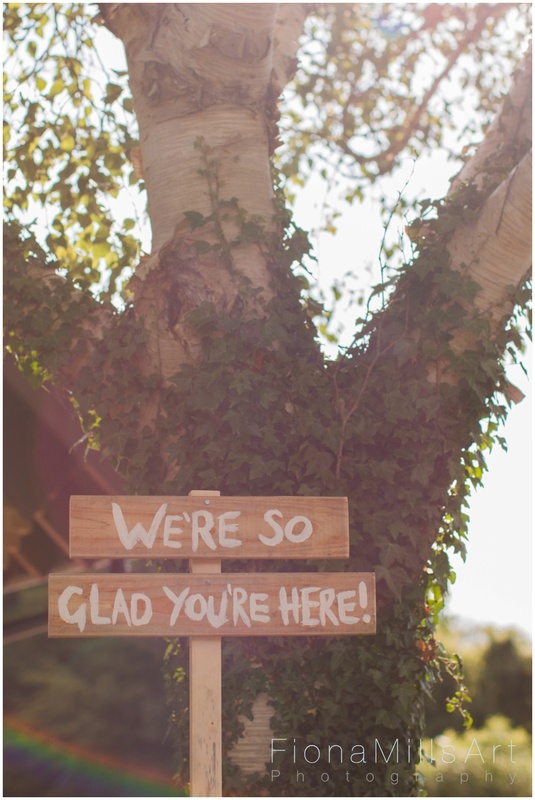 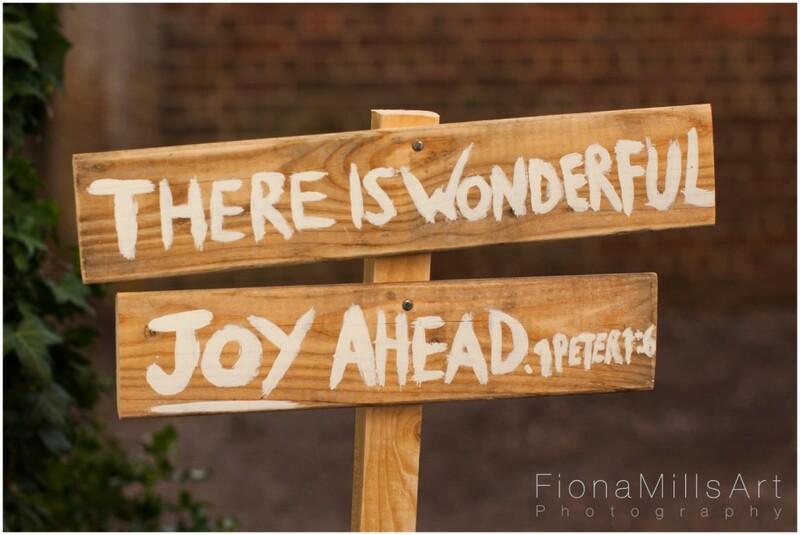 During the lull when the guests made their way to the reception venue, the newlyweds detoured to Rickmansworth Common in a white wedding taxi with Lee and I hot on their tails! 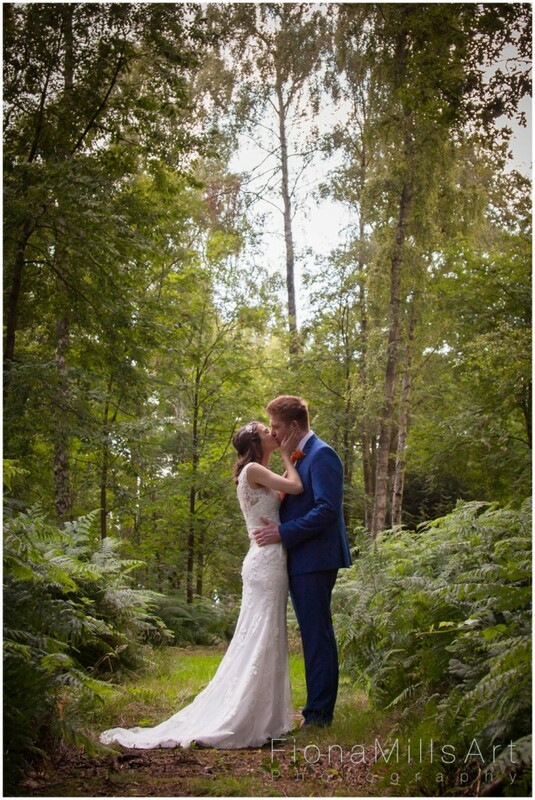 With a warning of not too much PDA, we took advantage of the scattered woodland and took 15 mins to capture a few portraits. 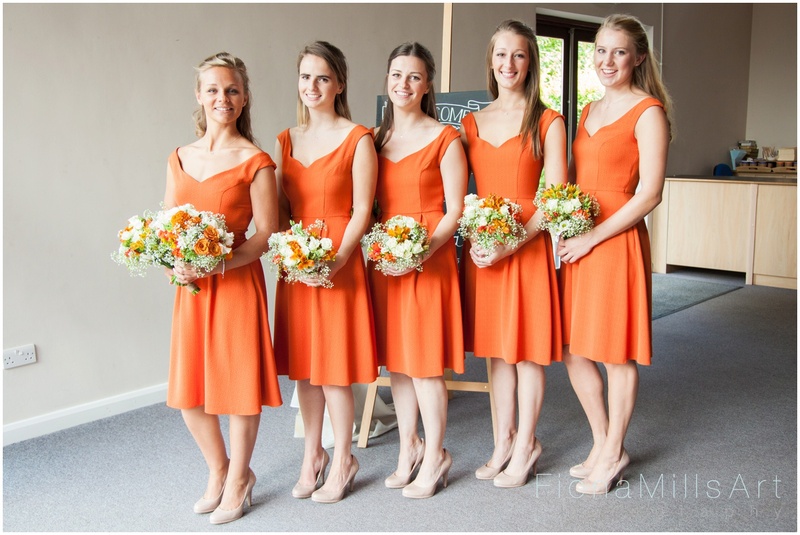 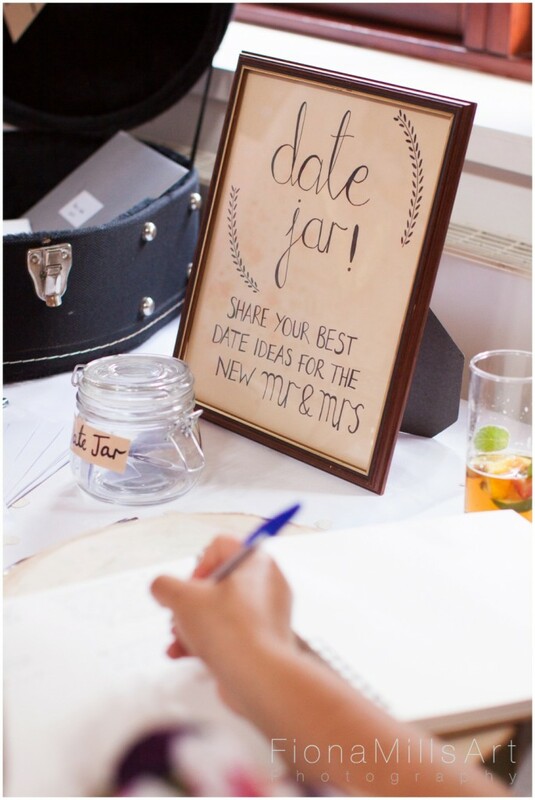 Once we arrived at Sarratt Village Hall we found the simple hall had been transformed into a stylish wedding reception venue with the colour theme on display throughout. 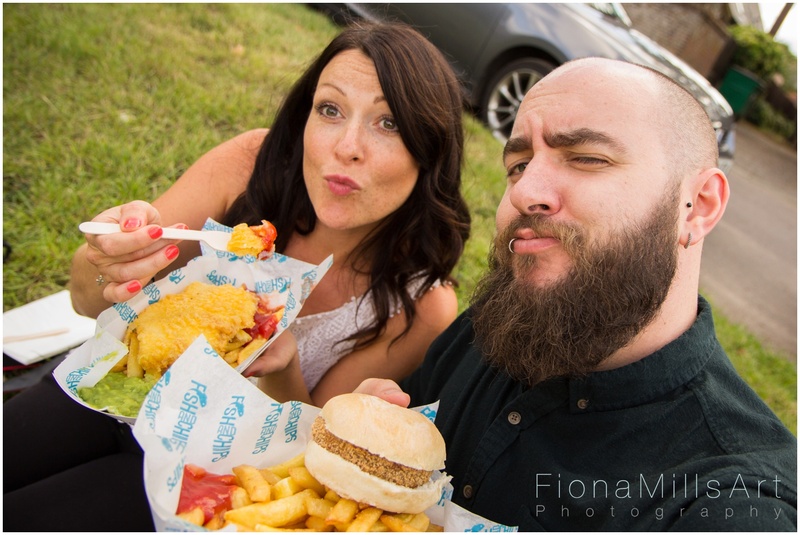 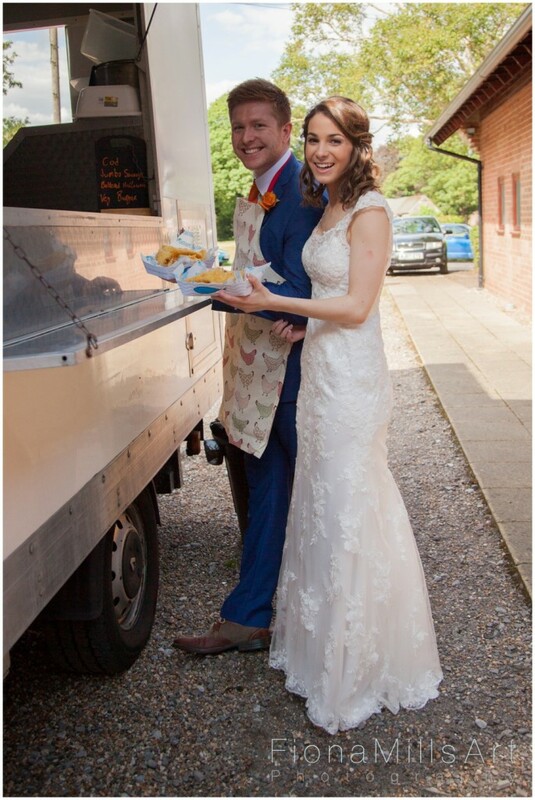 There were fantastic coordinated details: CD gifts for everyone with Matt & India’s favourite tunes; sweetie bags for the kids; crisps to keep everyone going until the Fish & Chip van arrived (cue wedding photographer selfies! ); positive messages scattered around and dessert on the go courtesy of an Ice Cream van! 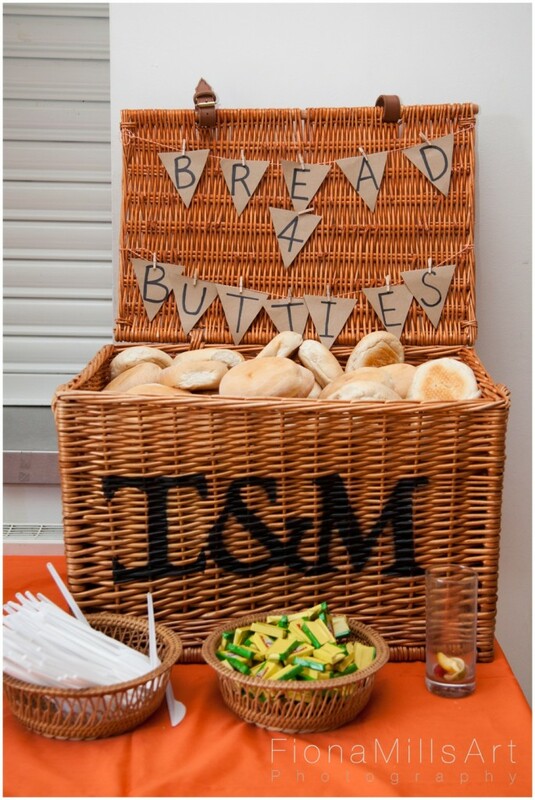 I especially love how little washing up this generates!! 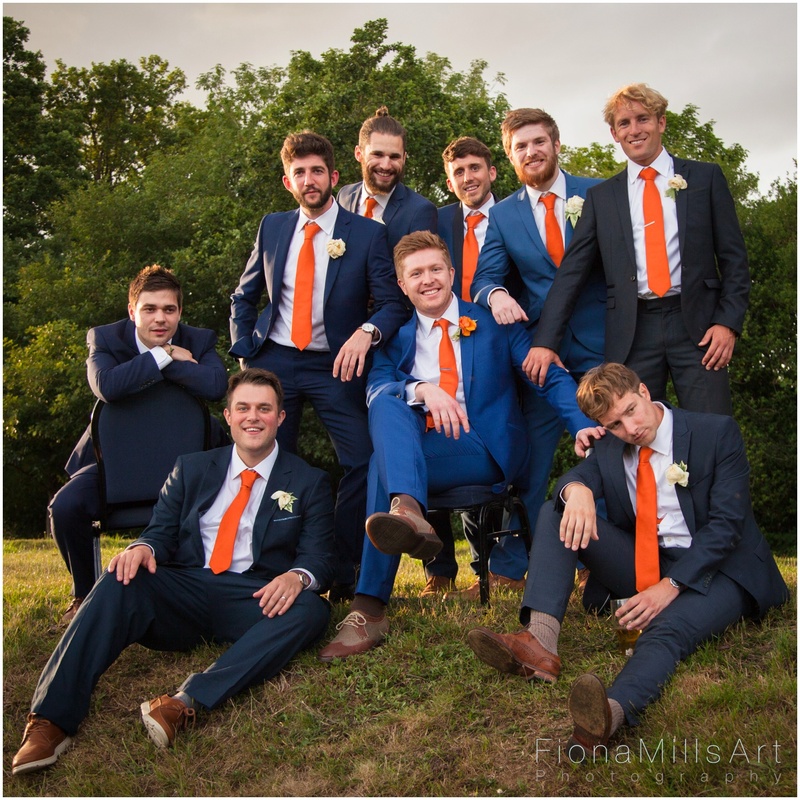 After the racy speeches (complete with videos of Matt from his childhood- and adulthood – in various stages of undress) the party got into full swing to the music of a fantastic covers band. 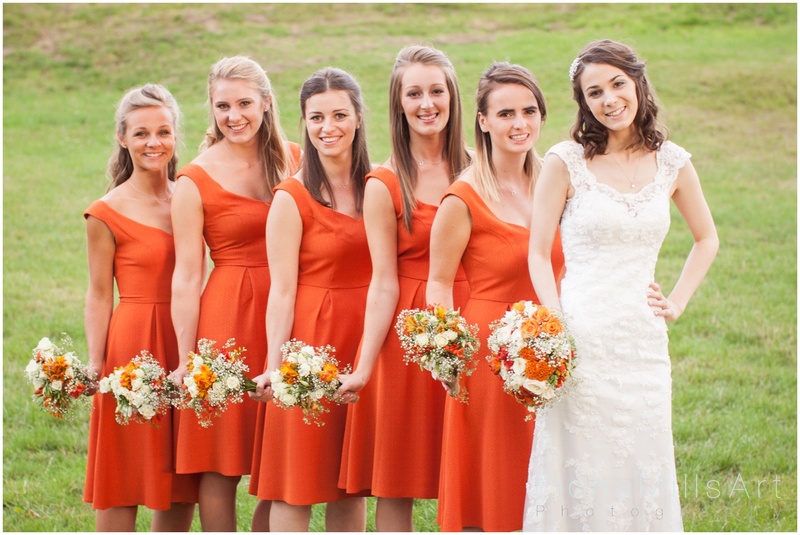 We made the most of the lowering light to grab the bridal party for a few more shots before we left.